On Feb. 2, 2017, the Appellate Division, First Department issued a unanimous decision in Gordon v. Verizon Communications, Inc., No. 653084/13, 2017 BL 31251 (1st Dep’t Feb. 2, 2017), that may have significant consequences for non-monetary settlements of shareholder class actions in New York. 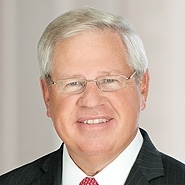 Justice Melvin L. Schweitzer, then of the Commercial Division, rejected the putative settlement due to concerns about whether shareholders could benefit from the additional disclosures that were to be made. In an opinion by Justice Marcy L. Kahn, the First Department reversed and approved the proposed settlement. Justice Kahn applied the five-factor test that the First Department had previously adopted in Matter of Colt Indus. Shareholders Litig. (Woodrow v. Colt Indus, Inc.), 155 AD2d 154, 160 (1st Dep’t 1990), and added two new factors to that test. However, the court’s failure to clearly define which parties these two new factors are meant to protect—i.e., the shareholders or the corporation—may lead to confusion as courts apply this modified standard in the future. To continue reading Stephen Younger and Sarah Ferguson's article from Bloomberg BNA's Corporate Law & Accountability Report, please click here.